Square Enix has apologized for the lack of updates and is asking fans to "wait just a little more." 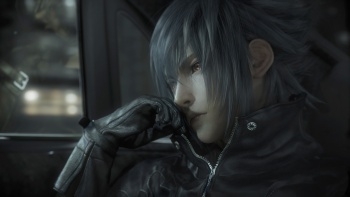 The road for Final Fantasy Versus XIII continues to be a long and tumultuous one. Originally announced in 2006 as part of Square Enix's Fabula Nova Crystallis collection, the seven years since have seen multiple delays with prospects for an actual release of the anticipated title falling further and further into doubt. These doubts haven't been helped much by Square Enix, which has been somewhat tight-lipped on the game. This lack of information isn't something the publisher has been oblivious to, however, and waiting fans may soon have news to help get them a bit closer to the game's long delayed release. Speaking recently on Square Enix Radio, Tetsuya Nomura, the director of Versus XIII acknowledged the company's silence and promised details on the game's progress soon. "The date when we can concretely lift the ban has been decided and we are preparing for that moment," said Nomura. "Maybe the details as to why information couldn't be released might be touched upon at the next information announcement." Despite the years long wait, Nomura implored fans to remain patient. "I'm sorry it's already overdue, but please wait just a little more." That might be a tall order for some, considering the duration they've been waiting. Versus XIII has been in development since before its 2006 reveal and while you can chalk up some delays to development difficulties, there are limits to what's understandable. This is especially the case when you consider that Square Enix has, in the same time period, managed to complete Final Fantasy XIII and develop a full-fledged sequel with another on the way.